The first big-budget film by Sam Peckinpah, Major Dundee (1964) follows an obsessive Union officer (Charlton Heston) as he leads a squad of Rebel prisoners, ex-slaves, and criminals—including Richard Harris and James Coburn—into Mexico to hunt down a band of marauding Apaches. This digitally remastered widescreen edition restores much of the lost footage cut from the film by the studio before its release. 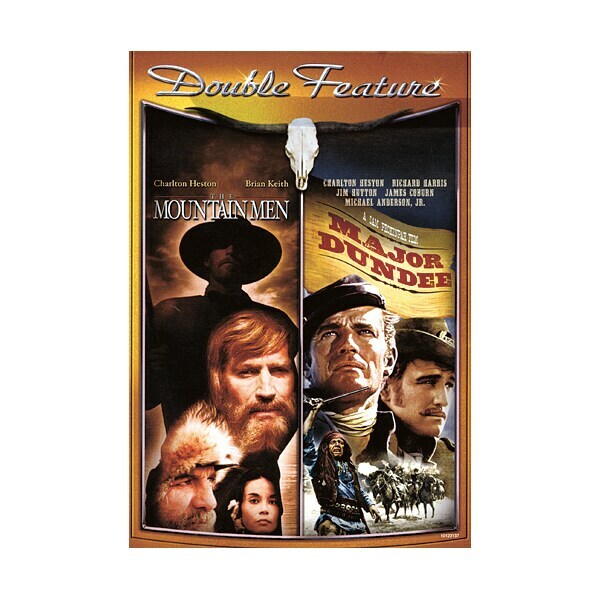 The Mountain Men (1980), shot in Yellowstone and other national parks and presented in full-screen format, stars Heston and Brian Keith as trappers Bill Tyler and Henry Frapp. As they search for a fabled beaver valley, they take on an Indian woman (Victoria Racimo) running from a fierce Blackfoot warrior known as Heavy Eagle (Stephen Macht).